For two decades now, we’ve been perfecting our recipe for delivering exceptional wine and culinary experiences unique to The Good Earth! 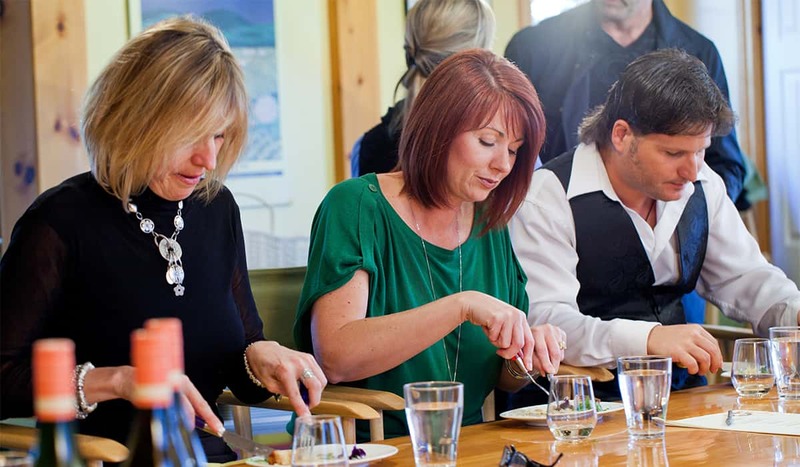 It is our passion and pleasure inviting corporate and private groups to our charming Niagara fruit farm and vineyard for unforgettable culinary events. 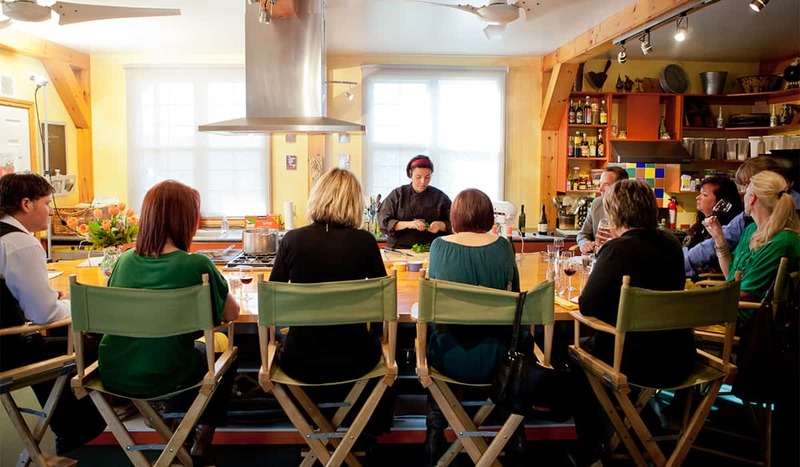 Whether you are planning a special team bonding event, looking to thank some important clients or planning this year’s holiday festivities, The Good Earth is your solution for delighting and satisfying the entire group. The Good Earth is all about celebrating life’s good times! 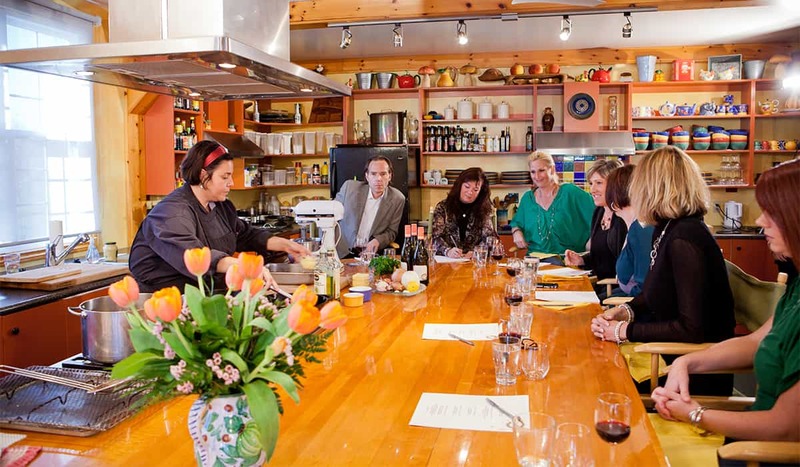 Our private cooking classes for 8 to 12 guests are a brilliant way to celebrate a birthday, anniversary, graduation, upcoming wedding or small reunion with family and friends. A custom dinner can be tailored to your taste and accommodate groups of 12 to 40 guests. Whatever your reason for celebrating, treat your guests to a culinary feast they won’t soon forget. See our menu options below. Starting from $1140 per session, plus tax and gratuity. Call 905.563.6333 or email us for more info and to book! * Subject to availability; Minimum guaranteed numbers apply of 20 adult guests; maximum of 40 guests. Enjoy a seasonally inspired menu created by our culinary team served in the Winery Bistro between 6 pm and 11:30 pm. SET 3-course prix fixe menu. Uniquely custom designed menu to reflect your special event! Service in the Winery Bistro Dining Room between 6 pm and 11:30 pm. Completely customized menu – amuse bouche plus 3 course menu. * Subject to availability; Additional courses may be added at an additional cost. Minimum guaranteed numbers apply of 20 guests; maximum of 40 guests. We are pleased to partner with the talented team at fêteEvents to deliver a very customized event. Depending on the time of the year we can accommodate groups from 12 to 80 guests. Click here to discover how The Good Earth can help you plan your extraordinary wine country wedding!